You can use any beacon from Estimote, NYVIDA, Blue Cats, Kontakt.io, Radius Networks or other Apple iBeacon compliant beacon with Geohopper! If this article isn't exactly what you are looking for, try Import Beacons into Geohopper. In Geohopper, on the Locations screen select "New." Then tap "Beacon." 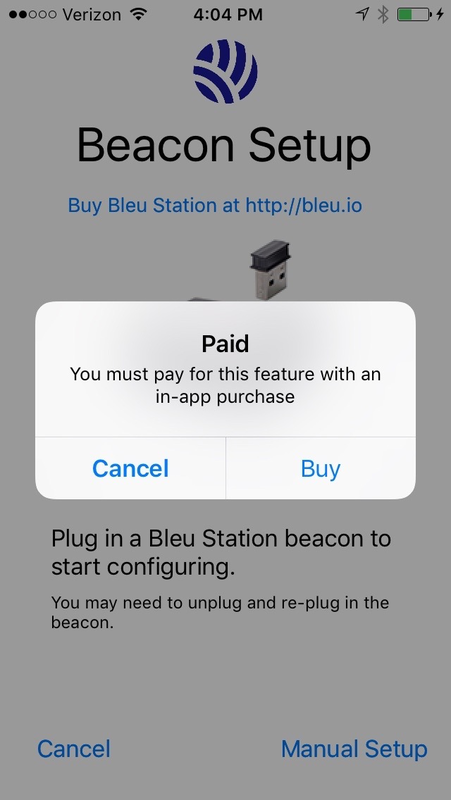 You may need to purchase the ability to configure beacons for 99 cents. 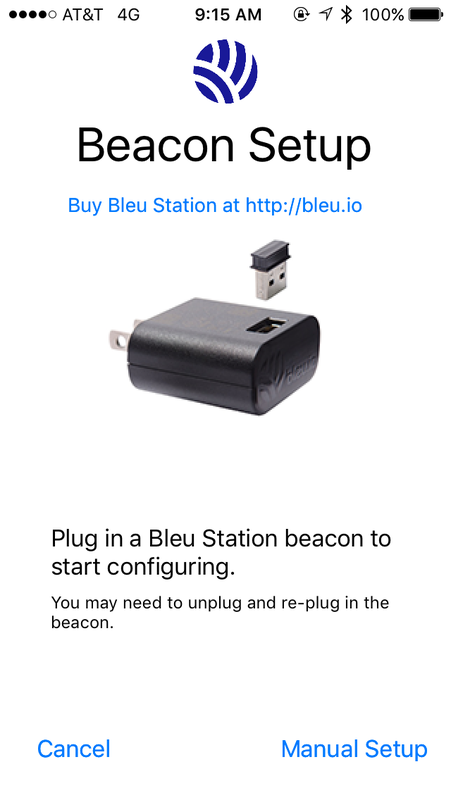 Enter your third-party beacon settings. These are usually found in vendor's beacon-configuration app. Name the region for which this beacon will trigger events. Enter the beacon's UUID. This is available from your beacon vendor. 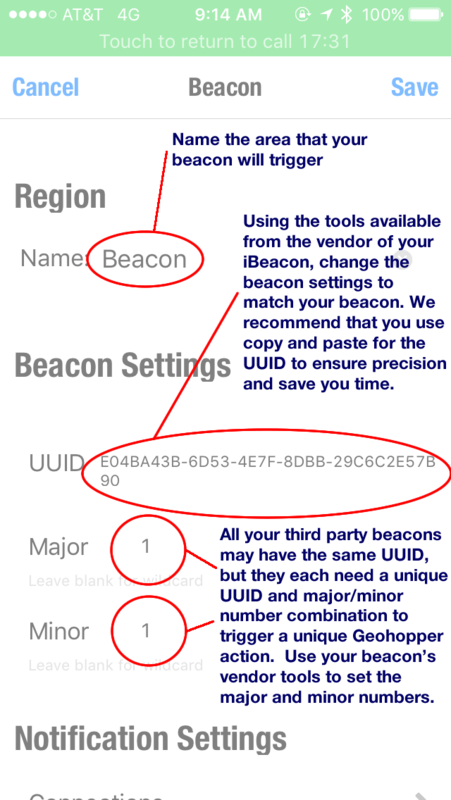 We find it is easiest to use the vendor's beacon-configuration iOS app to copy the UUID and paste it into the Geohopper app. Optional: Enter the beacon's major and minor numbers. Geohopper actions are trigger by unique combinations of UUID/major number/minor number. If all your beacons have the same UUID, they can still trigger different Geohopper events as long as they have different values for the major or minor numbers. 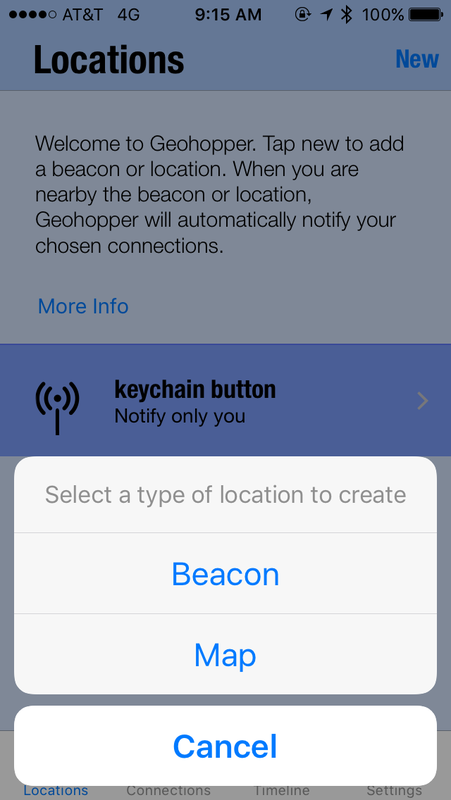 Tap "Save" and Geohopper will be able to register enter/exit events for that beacon. Article published: August 21, 2017 17:02 . Article last updated: August 23, 2017 21:53 .